We’re always looking for new ways to generate you leads, especially when they don’t require you to lift a finger. 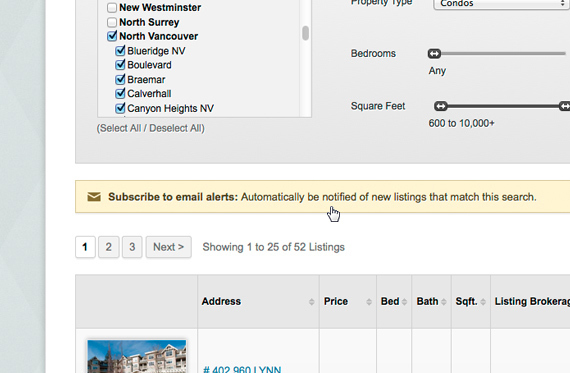 That’s why we created a handy new feature that allows visitors to subscribe to any MLS® search page on your website. 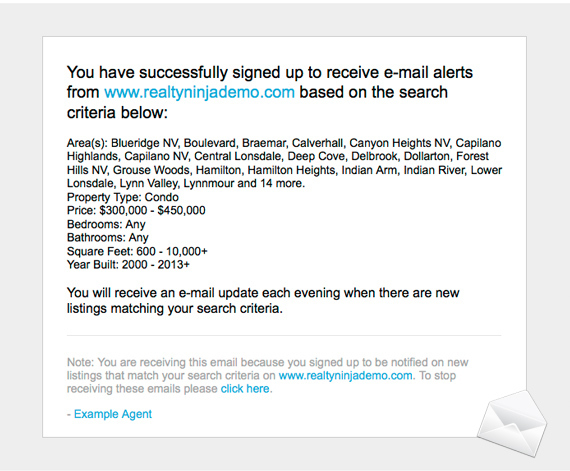 They automatically receive a daily email when new listings come on the market specifically matching what they’re looking for. They fill in a simple form without having to become a member and sign up for an account. 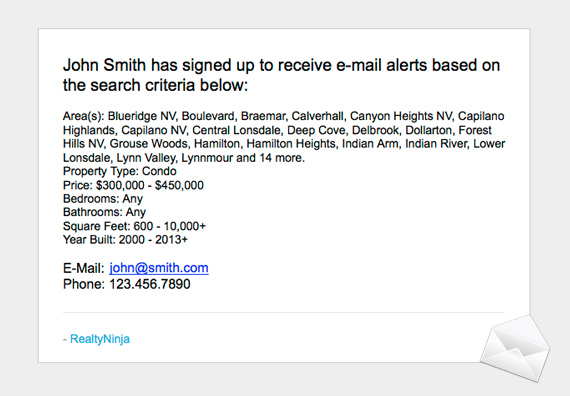 …and at the bottom, it prompts them to get in touch with you directly for more details. 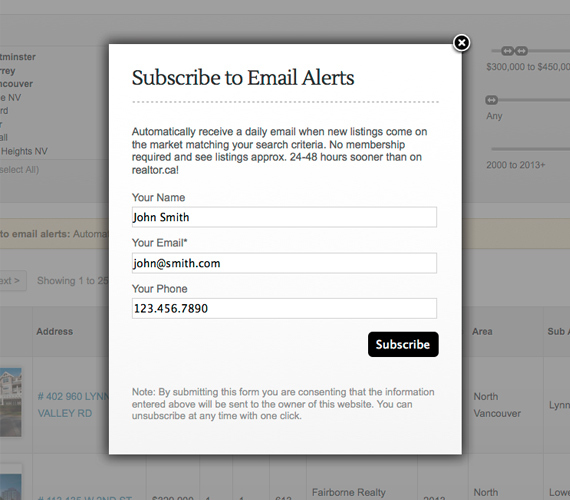 We hope you enjoy this new feature and that it helps grow your business. 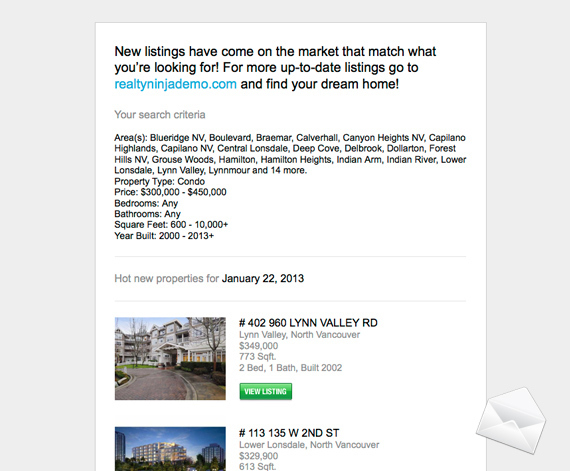 In the future we’re looking to add the same functionality to other areas such as buildings (when new listings come on the market in the building) and more.